After sitting dormant this winter, the former EJ's Garden Bistro is preparing to reopen as Browne's Tavern. 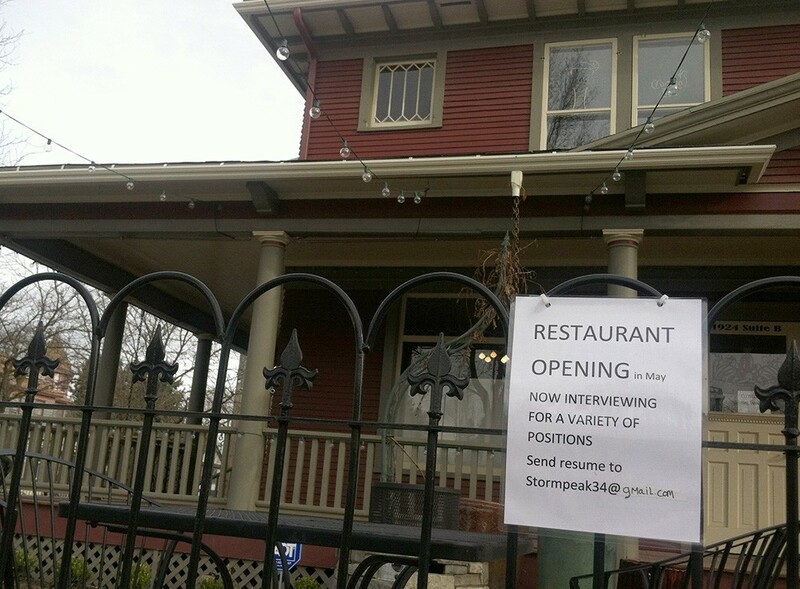 Last fall, EJ’s Garden Bistro in Browne’s Addition closed its doors after a fitful first year. Now it will reopen later this spring as Browne’s Tavern, co-owned by Mary Moltke — owner of the EJ Roberts Mansion bed & breakfast next door — and executive chef Floyd Loomis, previously with at Asiago’s Ristorante, an award-winning Italian-fusion restaurant in Boise. After getting pestered by the local media this week, they put out a press release with some details about what to expect: quick in-and-out lunch specials, a beer garden, extensive outdoor seating, pastries from Chaps and “eclectic variety of dishes with wide international influence” such as spaghetti & sage meatballs, papperdelle with smoky tomato sauce, shrimp and grits with housemade tasso ham, red curry risotto and duck with blood orange reduction. Read more about that, as well as the opening of the bakery at La Michoacana Mini Market on East Sprague, in this week's Entree newsletter. Fusion Flours, the exclusively gluten-free bakeshop, has the problem of being too popular. Their current space and equipment can’t handle demand, especially when they’ve been approached about possible restaurant collaborations or wholesale options (think gluten-free hoagie buns). So they’ve launched a Kickstarter campaign to raise startup cash for a major expansion, with tasty rewards for those who pledge toward the $22,000 goal. Five Guys on the South Hill is permanently closed. Cider news! Liberty Ciderworks (which may be open within a week) won gold for its English Style at the 2014 Great Lakes International Cider & Perry Competition, and One Tree Hard Cider got federal approval to start producing. Those of you who like planning ahead for your free ice cream, take note that Ben & Jerry’s Free Cone Day is coming up April 8.